Whenever I cook a turkey, I save the plastic netting…it’s perfect for hanging this lard treat for the birds. 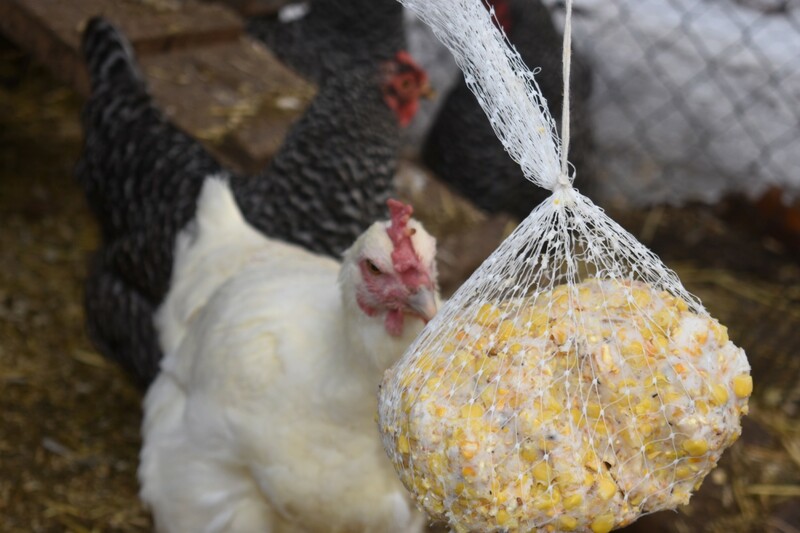 Onion bag netting works well, or you can just put it on a plate or in a bowl in the run. Optional: sunflowers, frozen or fresh berries, etc. These are really complicated directions, folks, so pay attention. Put the lard in a large bowl. 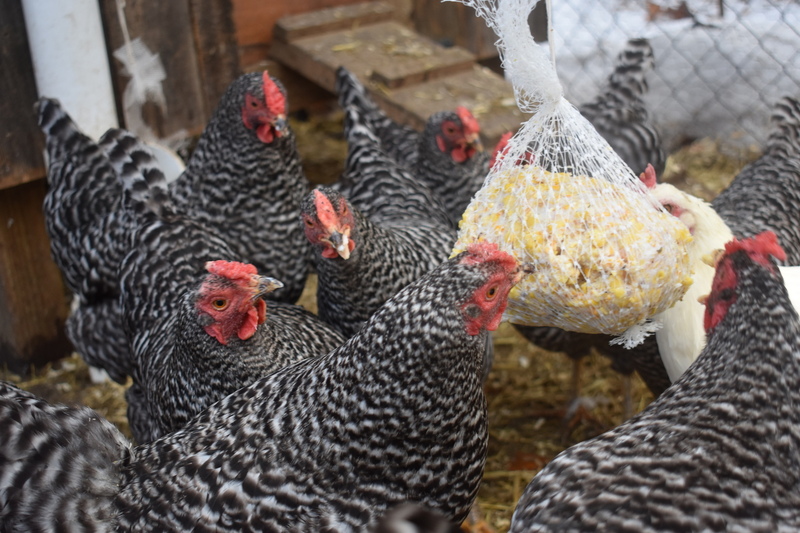 Add the corn and mealworm treats, the kernel corn, and any other ingredients you like…enough so that the whole mess holds together. Pat into a ball, put it in the netting, close and tie at the top with a long piece of twine. Hang this in the coop, and voila! Chicken heaven. This is a great winter treat for hens, and our girls really enjoy it. Not only is it delicious and healthy for them, but they LOVE when it swings back and forth. And happy chickens means yummy eggs! Revisiting My Bucket List: Check!